We have all heard about the famous saying, ‘The customer is always right’ and according to this famous saying, many organizations and many companies work. For any organization, business and company, customers are extremely significant since it is the customers that define the worth of the business, they are the source of the running of an organization and without them, the company may just shut down its shutters. For organizations, making sure that their customers and their clients are satisfied is extremely important. For that they are willing to go to any lengths, may even go out of their way to ensure that the customer is satisfied by their service. But how does an organization know whether or not their esteemed clients are satisfied or not? By getting customer feedback report. Customer feedback is the process where the purchaser or the customers tell the seller or the business about their opinions regarding the product or service offered by them. It can be usually done through online surveys, through place cards, through physical means and through emails and etc. In order to consider the customer feedback, an organization needs to consolidate all the feedback about a certain product, service or the whole company under one umbrella. This is done by either the management or the customer feedback department. They then forward it to the top management who then will make strategies and various decisions to align customer feedback with the company. For this, the management makes a customer feedback report which is an in-depth analysis of the customer feedback along with recommendations for the management as to what they should do to encompass the feedback that the customer has provided in their daily activities. 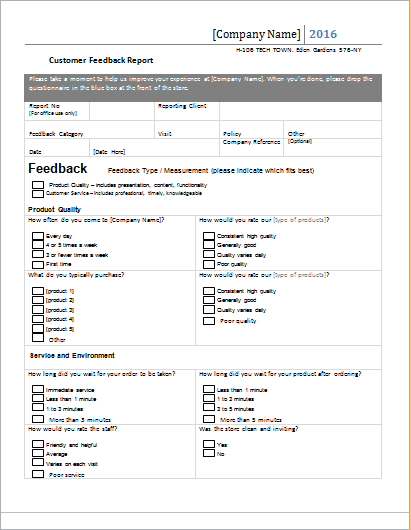 A customer feedback report consists of various sections that discuss various facets of the report. 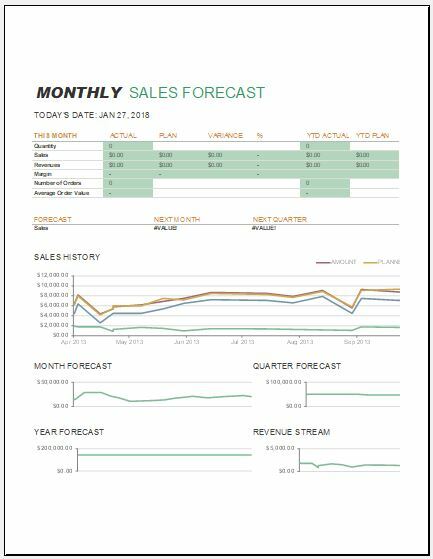 It begins with a table of content which encompasses all the content along with the page number. Next, comes the executive summary which is a summary of the whole report. Many a time, the top management doesn’t have time to go through the whole report and needs to have a summary of the whole report. The executive summary serves that purpose. Then the various sections are mentioned of which the important ones are: introduction, analysis, recommendations, problems, solutions and etc. although various formats for report writing are present, the most common and the most used is the APA format which is both simple and gives the whole report an organized look. 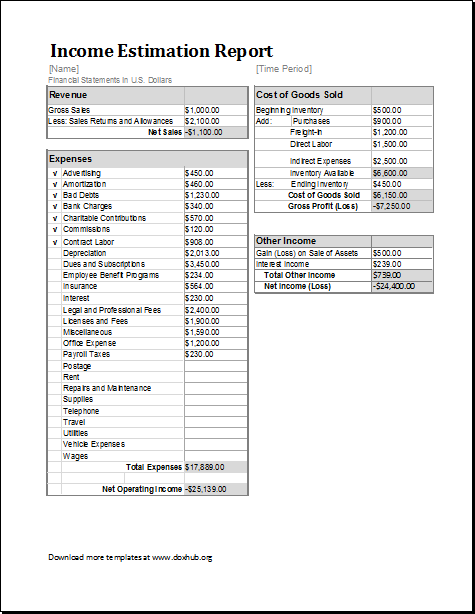 To make sure that the report doesn’t look messy and disorganized, the font should be such which is readable and is formal. Times new roman is the best for this. 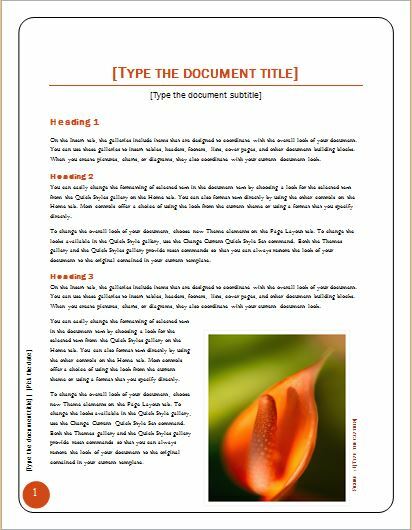 The content should have a font size ranging from 12 to 14 and the headings can range from 16-18. It depends upon the requirements of the organization. Don’t, in any case, make use of colored paper or just staple the report. The report should be presented in a file. If there are important sections that need immediate attention, then it is best if they are highlighted in the table of contents so the reader knows exactly what to read.